In this year’s approved budget, Virginia appropriated $5+ million in each of the next two years for the Virginia Housing Trust Fund. Begun in 2014, the Housing Trust funds are offered as competitive loans and homeless services grant — all with the aim of reducing homelessness in the Commonwealth. 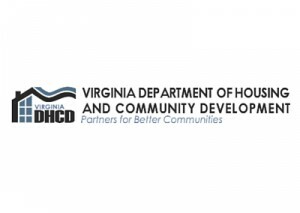 According to the Virginia Center for Housing Research at Virginia Tech, the economic impact of the initial $8 million in Housing Trust Fund investments in affordable housing, together with another $40 million in leveraged funding, have created $98 million in regional growth and 533 new jobs. Following suit, this year the federal government authorized the funding of a new National Housing Trust fund. Its purpose is to increase the supply of affordable housing for low- and even extremely low-income households. Starting in mid-2016, the funds will be available as block grants to states and the District of Columbia. For GSH, it is of interest that 90 percent of the new National Housing Trust funds will be spent on rental housing. Also, it is mandated that 25 percent of the funds must be directed to households earning 31 to 50 percent of the Area Median Income — in other words, the low-income population that we serve in our housing. You can read more details on the new National Housing Trust fund here. Finally, every state will receive a $3 million minimum allocation. Given its size, Virginia will likely receive a multiple of that amount. We will stay tuned for more on this new funding opportunity.